Alan Pearce, Berni Studd and Berni Ulph. 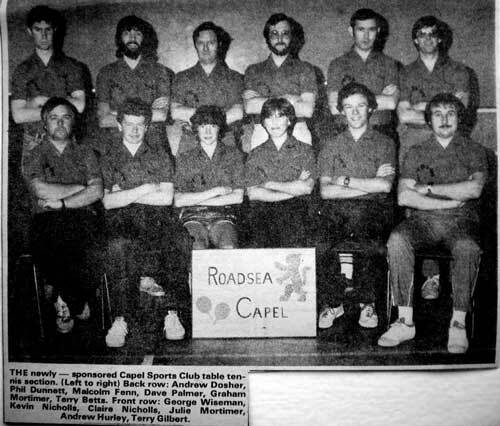 What were you doing over 40 years ago?..Thanks to Tim Diss for sending this in. 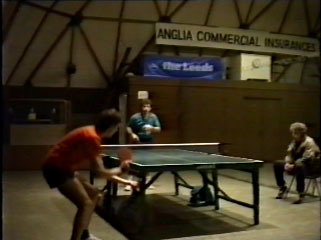 I have a pretty good knowledge of the "older" players as I started playing my local League TT for the YMCA in 1953 !! 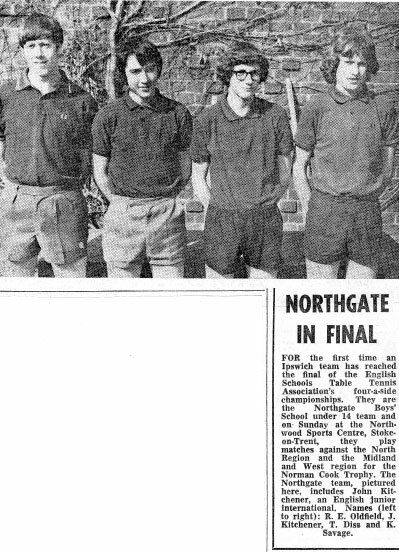 Pam Rogers and Margaret Taylor and myself played as YMCA "C" in the 1st Division (now Premier) and somehow kept off the bottom spot. I was then 16 and Pam and Margaret were 17. Margaret didn't stay in the game long and with Pam both became County Hockey players. Margaret on her marriage became "Bryant" and was largely responsible for the Ipswich Hockey building in Tuddenham Road. She also took up "Golf" and has been the Ipswich Golf Club's Ladies Captain. Thanks to Terry Betts for sending this in. Do you still have the shirt Terry! Click here to see some of the players after a few years weathering. 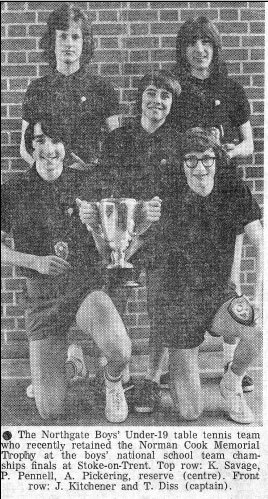 Quite a few Ipswich players used to play in the now defunct Woodbridge League, indeed, some of us started playing there. 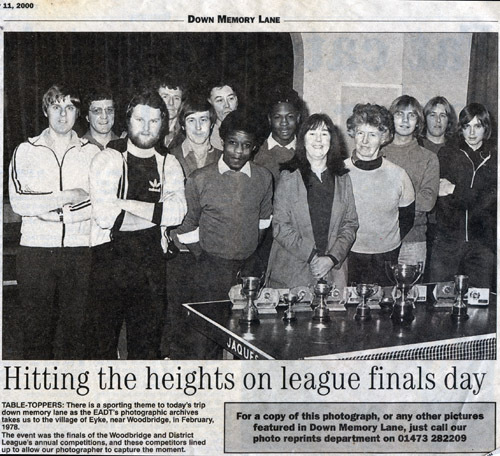 Amongst the players shown are: Dennis Dewsbury, Peter White, Graham Goodwin, Josie Oldfield, Sue Allum, Bobby Enscat, Ken Halliwell and John White. 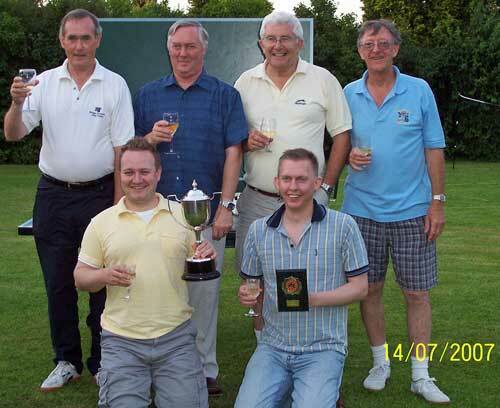 Many thanks to Helmingham TT Club for loaning the cutting. Do you have anymore to share with us? 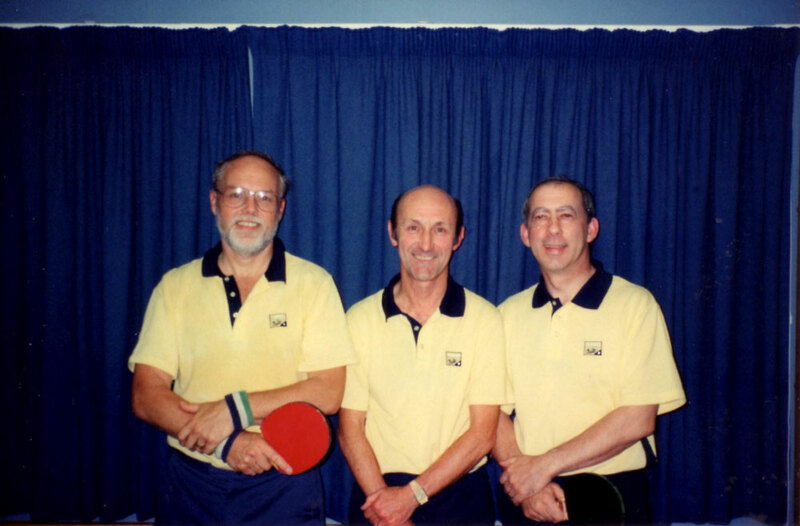 © Ipswich & District Table Tennis League 2019.